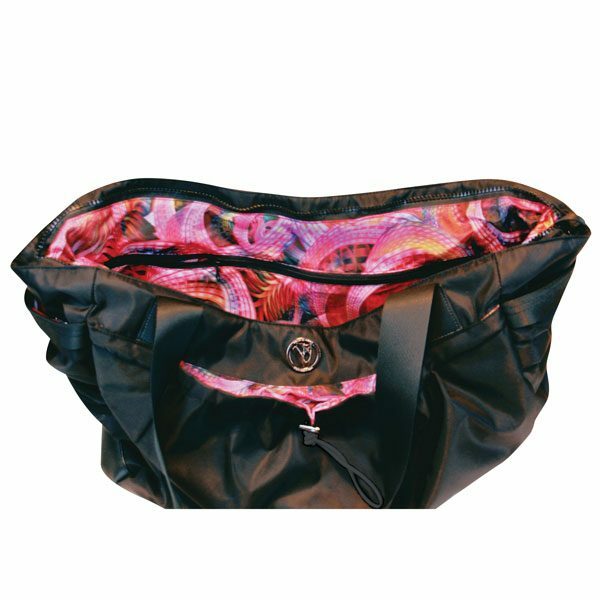 Features: This stylish soft and durable micro fiber bag features an oversize interior compartment for all your dancing supplies. The Adage interior and outer pockets are all lined with a bright multi color print. This bag boasts a total of seven pockets including two full front exterior pockets, one with toggle pull, the other with zipper plus two exterior side pockets. 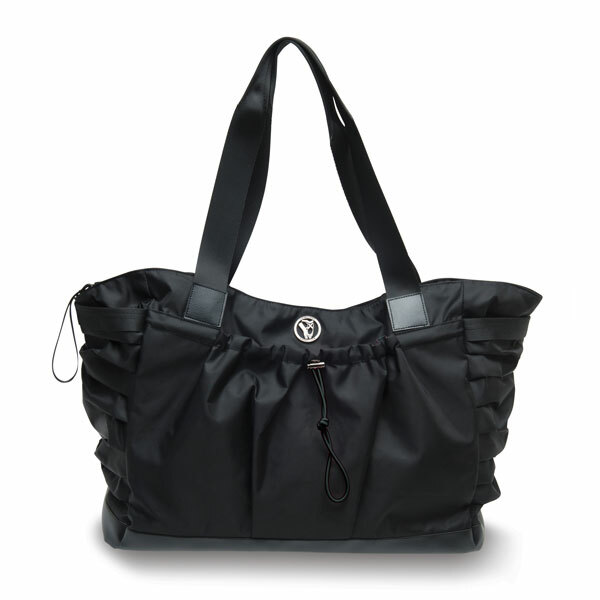 Inside pockets include a full length zipper pocket and two elastic pockets. Adjustable shoulder strap included.